Oops! Had an accident? Not sure if you should put in a claim to your insurance company? A new study reported in The Detroit Bureau might make you rethink your decision. 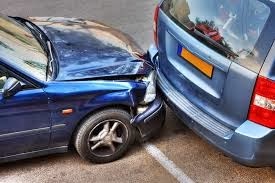 According to insuranceQuotes.com a single “at-fault” claim will result in an average increase of 38 percent in your annual car insurance premium, and a second claim could nearly double what you pay. That should make you think twice before filing a claim. Laura Adams, a senior analyst at insuranceQuotes.com, warns that, “the biggest lesson for consumers is not to file a claim unless absolutely necessary. Making a claim for a few hundred dollars doesn’t make sense if your premium is going to skyrocket as a result.” There are some "forgiving" insurance companies who will overlook a first time accident by a consumer including Liberty Mutual, Nationwide and Allstate. But you be sure that having multiple claims within a short period will have costly consequences. While most insurance premiums would increase by 38 percent in annual premiums for a single at-fault claim, a second at fault-claim within a 12 month period would cause it to go up by 86 percent. These increases also see differences from state to state, from a low of 20 percent for a single claim in Maryland to 67 percent, on average, in Massachusetts.The study was based on the rate plans for six major insurance carriers in all 50 states as well as the District of Columbia. It assumed a middle-aged driver carrying a policy providing a maximum $300,000 in liability coverage, with a $500 deductible, submitting a $2,000 claim. So think before putting in that claim, and as always...drive carefully!